﻿ What are the types of 10G SFP+ optical modules? What are the types of 10G SFP+ optical modules? As everyone knows, SFP+ optical module for its small volume, low cost and high density advantages and is widely used in 10G Ethernet, in next generation mobile network, fixed access network, metropolitan area network, and data center and other fields are particularly common. So what are the types of 10G SFP+ optical modules? 10GBase-SR is one of the 10G SFP+ SR Ethernet standard, accord with the standard of the optical module, and the optical module type SR is in short distance (Short Range), meaning, which means that the transmission distance up to 300m and use it with multimode fiber. In addition, the wavelength of 10G SFP+ SR optical module is 850nm, which has the advantages of low cost, low power consumption, small size and high density. The 10G SFP+ LRM optical module conforms to the 10GBase-LRM Ethernet specification, where LRM refers to the extended Multimode Reach (Long). 10G SFP+ LRM optical module can be used with OM1, OM2, OM3 multi-mode fiber, and is mainly used for FDDI networks and 10G data communications, and its low power consumption and excellent EMI can also fully meet the MSA SFF-8431 standard. In addition, the upgraded version of 10G SFP+ LRM optical module is SFP-10G-LRM2 optical module, the upgraded optical module transmission distance of up to 2km, commonly used in LAN connections. 10G SFP+ LR optical module with 10GBase-LR Ethernet standard, LR which refers to the long distance (Long, Range) at the wavelength of 1310nm single-mode fiber on the transmission distance of the maximum is 10km, in fact up to 25km, also has the advantages of miniaturization, low power consumption and long transmission distance. 10G SFP+ ER optical module with 10GBase-ER Ethernet standard, which is the long distance ER (Extended Range) meaning, its wavelength is 1550nm, and when used with single-mode fiber transmission distance up to 40km, is a very high cost of the ultra long distance optical module, is favored by the data center and enterprise park. The 10G SFP+ ZR optical module conforms to the 10GBase-ZR Ethernet specification, but this specification belongs to CISCO proprietary. 10G SFP+ ZR optical module type ZR refers to the longest distance (Ze best Range), thus the transmission distance of optical module is very far, the transmission distance up to 80km and single-mode fiber when used together, so the light module is widely used. 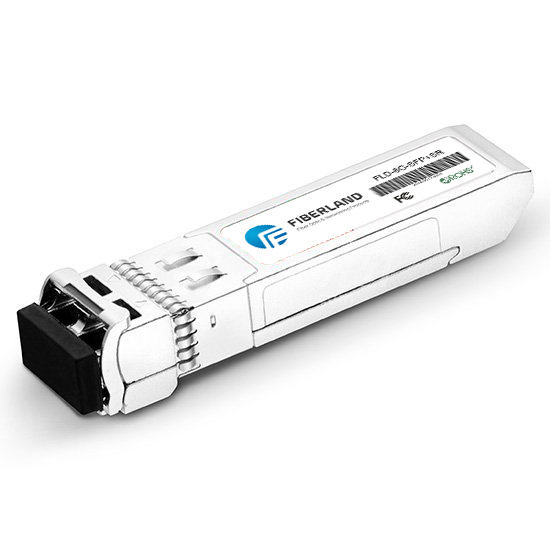 BIDI optical module is a single fiber bidirectional optical module, the optical module has SFP and SFP+ two package, the main difference is that the rate of BIDI SFP+ optical module is 10G, the rate of BIDI SFP optical module is fast or gigabit. BIDI SFP+ optical module using WDM technology, and there are two fiber jack, need to be used in pairs can guarantee the normal operation, but the benefits of this optical module can reduce the usage of optical fiber network deployment, thus greatly reduce the cost of network deployment. The 10G SFP+ CWDM optical module is a coarse wavelength division multiplexed optical module that is usually used in conjunction with single-mode fibers. This light module adopts CWDM technology to save fiber resources, can significantly enhance the flexibility, economy and reliability, and the power consumption of optical module is very small, the 10G SFP+ DWDM optical module 12.5%. 10G SFP+ DWDM optical module is a high rate, the domestic rare large capacity DWDM optical module, usually with single-mode fiber, transmission distance up to 80km, suitable for long distance data transmission. This optical module can satisfy large capacity and long distance transmission requirements, provides a stable guarantee for multi service operation and future network upgrading, also supports a variety of networking mode, each node can be made between wavelength scheduling, has the capacity of easy expansion, flexible service access, high bandwidth utilization and high reliability etc. a variety of advantages. 10G port module is a package for the SFP+ photoelectric conversion module, the interface type is RJ45, and usually use super six or seven jumper network together, this optical module, the disadvantage is not to support the DOM function, and the transmission distance is 30m, because the application is not wide enough.